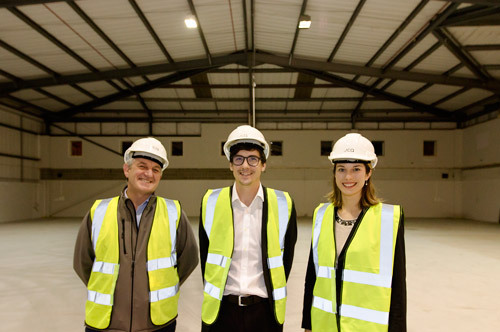 New businesses and new workspaces are landing in and around the Enterprise Zone: a lab space and science incubator is currently under construction and Invest Bristol and Bath continue to bring new companies to the area. Scroll down for more information about these, as well as some quick-fire updates and details of upcoming events - including a charity sleepout and Venturefest 2017 - and a profile of Bristol Energy, who have just opened their doors to business customers. We have been working on refreshing the look and feel of our website, making it easier to navigate and find information about key projects and developments. The new site will be launching next week; we don't anticipate any disruption, but please be patient if you have any issues. You can report these and give any feedback on the new site once it's launched by emailing btqez@bristol.gov.uk. Construction has begun on Unit DX, a new lab space and science incubator 10 minutes’ walk from Bristol Temple Meads and the Engine Shed. Unit DX was announced in partnership with the University of Bristol's SETsquared Centre, which was named as the best university business incubator in the world last year. Unit DX will provide much needed facilities and support to the growing number of entrepreneurs in the city, adding a new scientific dimension to the already thriving Bristol tech scene. Find out more on the University of Bristol website. In the last two months, two new companies have arrived at Invest Bristol & Bath’s soft landing space at Engine Shed: Cookpad Japan and Coup Media. Cookpad is Japan's largest online recipe platform, and they have just moved their European HQ to Bristol. Coup Media have moved their OiConference team into the space. 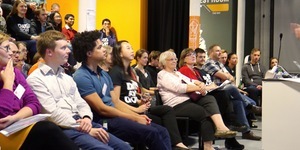 Last week they held their second consecutive event in Bristol, which included speakers from IBM, Adobe and Social Chain. The fifth session in Engine Shed's series of finance briefings will look at the current state of funding for social enterprises and how for-profit and not-for-profit enterprises can learn from each other. The session will feature a panel discussion with speakers from Bristol & Bath Regional Capital CIC, Quartet Community Foundation, Fundsurfer, Social Enterprise Works and Neighbourly. The session is free and can be booked online. Venturefest Bristol & Bath is coming back in 2017 and will be even bigger than before.